Explore remodeling trends in a city near you. 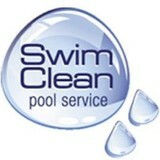 Swim Clean is a licensed swimming pool service and cleaning company serving clients in Toronto and the Greater Toronto Area. Our experience in the pool service industry allows us to offer a variety of services to meet your needs. Please see our services section for a complete range of services offered. At Swim Clean we are committed to gaining your loyalty, which is why we offer reliable and honest services – your satisfaction is our priority. Your home hot tub is the perfect place to relax and unwind, and the team at Super Cover Hot Tub Covers can keep it operating properly. We serve home spa owners in Oshawa and throughout the Greater Toronto Area. Our technicians specialize in complete hot tub and home spa design, installation, maintenance and repair services. We can provide durable covers that will keep your hot tub protected all year round in all kinds of weather. We use trusted name brand products including Dynasty, Beachcomber, Hydropool, Arctic Spas, Cal Spas, Sundance, Coast Spas, MAAX Spas, California Cooperage, Michael Phelps Swim Spas, Bullfrog, Sunrise, LSX and Inground Hot Tub Covers. Visit our website to learn more and call us today to keep your hot tub functioning properly. 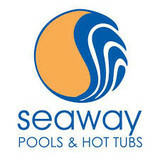 Seaway Pools & Hot Tubs is not an average swimming pool and hot tub company. We are a shareholder in the IPG Group and an award-winning member of the National Pool and Spa Association , two of the swimming pool industry’s leading associations. We are a Kafko certified ProBuilder for swimming pools, and our retail stores have deserved numerous readers choice awards from our community papers. We specialize in various kinds of pools, swim spas, hot tubs, and BBQ's. Pool Buoy Corp. specializes in pool leak detection and repair for the Greater Toronto Area, York, Halton, Peel, and Hamilton regions. Our company's focus has shifted to pool leak detection services after many years of providing general pool services in order to provide our customers with superior service and reliability in a highly specialized areas of the pool service industry. Pool Buoy Corp. is a fully registered, insured and experienced company that has been in operation since 2007 and looks to serve many customers in the years to come. With over 42 years in the pool and spa industry, Poolmaster Canada Inc has set itself apart from others. 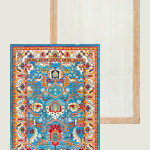 We are committed to providing professional carefree products and services at competitive prices. As an industry leader, Poolmaster prides itself in providing on-going training, certification courses and safe organized work environments for our retail and service staff. All of our staff are CPO and safe water discharge certified. Let us show you the Poolmaster difference! We are Toronto's largest SOFTUB dealer, offering everything you need to get into soothing, relaxing hot water. From sales to after purchase service (including repairs, replacement parts, accessories, and chemicals), POOLMASTER has it all! We have a complete lineup of SOFTUBS and accessories in stock, year-round. Although many pool owners do a fine job of caring for their own pools, it is always nice to arrange for professional pool service. You never have to carry water samples all over town or buy pounds of chemicals you don’t really know how to use. Spend your time around your pool enjoying the company of family and friends, instead of scrubbing and cleaning. Call us and start enjoying your pool more while we do all the work! Local Pool Company Providing great service. 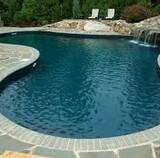 Brander's Pool Service provides maintenance, repair and renovation of swimming pools in the Oakville area. We have been providing professional and personalized service for swimming pool owners since 1967. Our experienced, skilled technicians care about our customers and believe they should be treated with respect throughout the entire process. It doesn't matter if the job is just a simple repair or a full overhaul of your pool, we will take the same care and provide you with the same professional service from the beginning to the end. 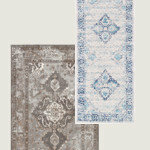 We handle both small and large jobs and keep your budget in mind whenever providing an estimate. You may have had a bad experience in the past, but you won't have a bad experience with Brander's Pool Service. Our extensive knowledge and industry experience allows us to provide the best technicians in the Oakville area for your swimming pool needs. We can help with opening, closing, cleaning, repairs, renovations and regular maintenance of your pool. You can trust the Brander's Pool Service staff to work discreetly and quickly on your job. We take both your budget and your schedule into consideration and make sure you are 100% satisfied with the job. If you're ready to trust your swimming pool needs to a true professional, call Brander's Pool Service today! 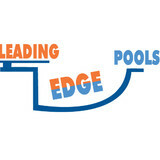 Total Tech Pools was started in 1991 primarily as a pool service company. Many of the original staff came from other pool companies and many are still with us today. Total Tech Pools performs all types of repairs, restorations, and maintenance on pools including liner replacement, openings/closings, equipment installation and repair, leak detection and complete new pool installations. In 1996 a retail store was opened and in 2001 a larger facility was opened in Oakville. Currently Total Tech Pools operates a store in Oakville , ON and Kingston, ON. We offer a full line of chemicals, equipment, accessories and many other supplies for your pool at very affordable prices. Total Tech Pools prides itself on providing honest and fair service and places a very strong emphasis on education and training. Aquadam Pool Services is pleased to provide professional solutions for all your service requirements. We are a full service company offering openings, closings, weekly maintenance, vinyl liner replacements and safety cover installations. 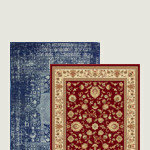 We provide service and support for all our products allowing you to purchase with confidence. Whether we are protecting your backyard investment from the hazards of winter with our closing services, or providing opening services to start your season right, you can rest assure you are receiving professional pool service at the highest standard. A standard, which starts with excellent customer service and is backed by years of experience and industry training. 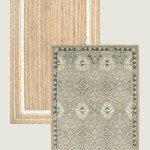 We pride ourselves in staying current in order to provide you knowledgeable support. I have experience in building and servicing pools, I take pride in my work, and I am a "neat freak", so your pool will be in great shape when I'm finished. I would be happy to meet with you so that you know your investment is in good hands when we visit your property. There’s nothing quite like the refreshing and relaxing sensation of slinking into a hot tub or pool. Whether you’re doing lengths to keep fit or are having a party with friends, a swimming pool is a versatile addition to your home. At Pleasure World Pool Service we specialize in taking care of your investment; we provide a whole range of services and products to keep your pool and hot tub in great working order. We provide full installation of pool liners and can repair and replace almost any individual part such as pumps, motors, filters, heaters and more. What should I look for when hiring a pool cleaning service in Oakville, ON? Pools and hot tubs are big investments, so you’ll want to make sure to protect them by hiring an expert who cares about them just as much as you do. Check that the Oakville swimming pool maintenance service you are interested in actually specializes in the type of pool you have — chlorine and salt water pools have very different needs, and in-ground versus above-ground pools will require different upkeep and repair methods. Also, know who will be doing the repair or service; if it’s one of the larger swimming pool services in Oakville, ON, request that you get same person every time, otherwise you could get inconsistency in treatments. Good Oakville pool professionals will keep a consistent schedule and log everything they do so that it can be referenced in the event that you switch companies or something does go wrong. Like any other professional, look for local pool cleaning companies near you with plenty of good reviews and relevant experience. Can you provide me with references? How do you charge, and what does that include? Can you give me a written estimate (for repairs)? What do your services include? What is your experience with similar projects? Do you provide all of the necessary equipment and supplies? Are there any important considerations or concerns you foresee with this project? Find an Oakville, ON swimming pool repair and maintenance specialist on Houzz. Narrow your search in the Professionals section of the website to spa and pool maintenance companies in Oakville, ON and read reviews and ratings for pros in your area.